Daryl Johnson (Worcester Park, United Kingdom) on 23 May 2010 in Architecture and Portfolio. 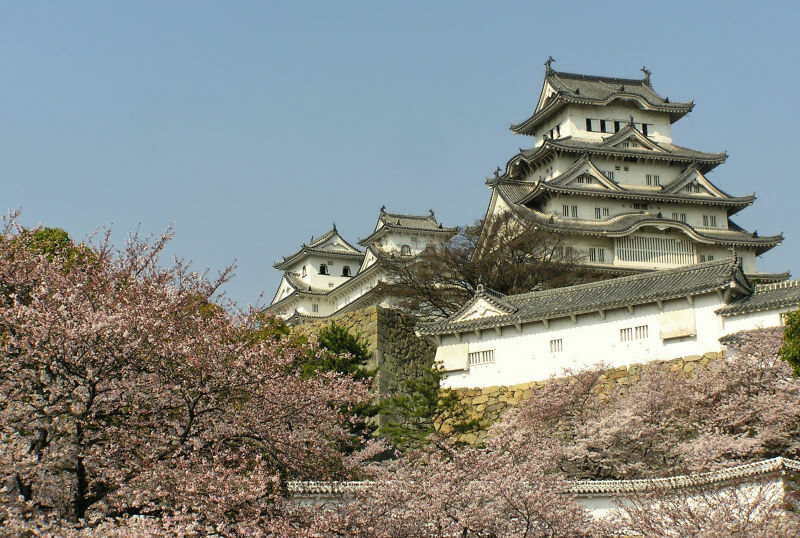 So many pictures of Himeji Castle on this blog... anyway, here's another. It is a good shot, well composed and taken during a beautiful season. That is a wonderful shot. So good I almost sneezed. What a wonderful and graceful place. Great POV! A beautiful, beautiful postcard image!!!! The cherry blossoms seem to work to perfection with the shapely architecture! I find it so thrilling to be watching the castle architecture in Japan, though I know most of them are pretty new, that is reconstructed.